This five bedroom, five and a half bath cottage is conveniently located within close proximity to The Old White TPC golf course and Greenbrier resort amenities. 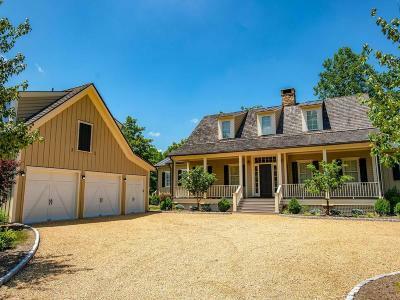 Highlights include a two and a half stall garage with golf car storage and guest bedroom above, and expansive outdoor living areas, including a back patio with fire pit and screened-in back porch, both with stunning views of Howard's Creek. An open floor plan with gourmet kitchen, large living room with oak hardwood flooring, and three guest bedrooms with ensuite baths makes entertaining a delight.